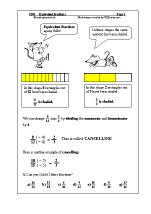 In Year 6 there is even more work on equivalent fractions and using common factors to simplify fractions, often called cancelling. 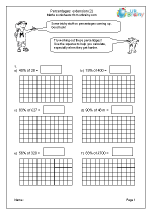 Perhaps the biggest step is that by the end of Year 6 children will be expected to add and subtract fractions with different denominators and mixed numbers. 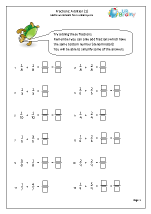 A really sound understanding of how to do this is needed and many children will find this very difficult. 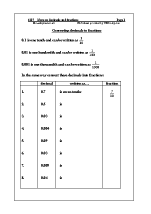 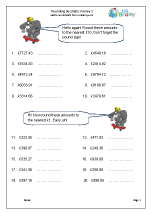 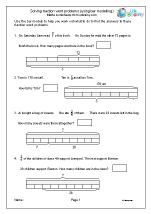 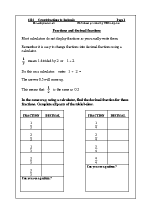 We have a vast selection of addition and subtraction of fractions worksheets, increasing in difficulty, to meet all the challenges set by the Programme of Study. 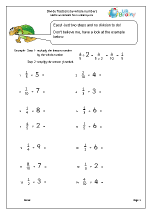 More is also expected with multiplying fractions using simple proper fractions (e.g. 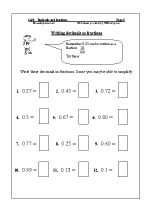 a quarter multiplied by a half is an eighth). 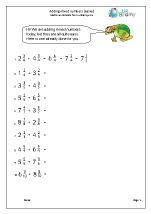 Some children find it hard to grasp that when multiplying a whole number by a proper fraction the answer will be smaller than the starting number; very unlike their normal multiplying experience with whole numbers. 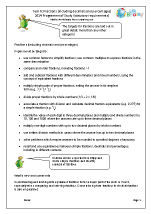 Replace multiply with the term ‘lots of’ can help with this (e.g. 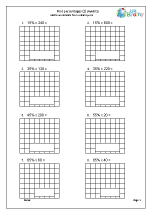 two lots of four is eight; a quarter lot of four is one). 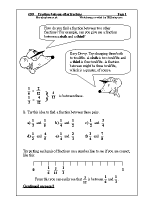 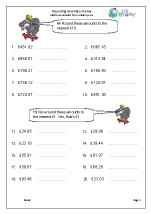 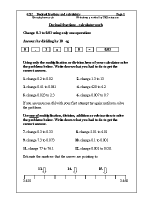 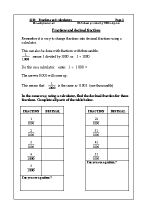 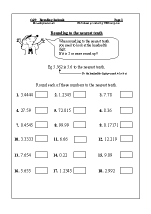 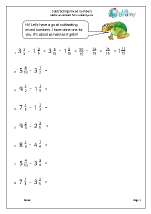 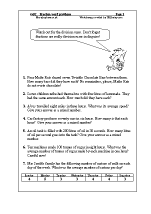 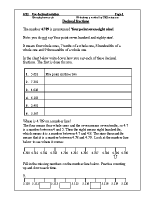 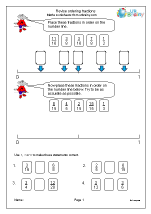 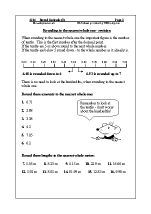 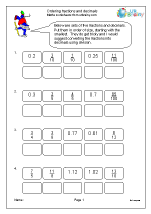 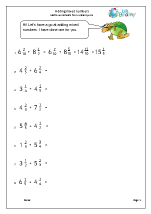 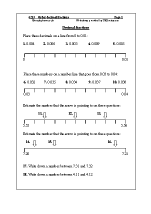 We have some excellent sets of worksheets getting progressively harder on multiplying fractions. 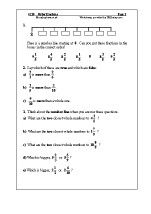 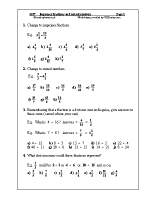 Answers are expected to be written in their simplest form. 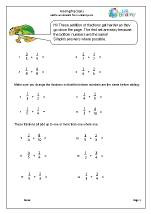 Dividing fractions is also introduced, but only dividing proper fractions by whole numbers. 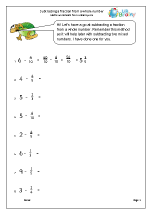 Once again children should be encouraged to associate a fraction with division as well as working with decimal fractions up to three decimal places (e.g. three eighths as 0.375). 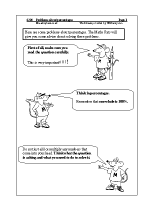 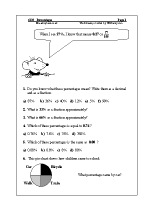 More work is also done on percentages, a favourite topic in the KS2 SATs. 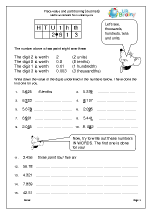 An important part of all this work with decimals and fractions is that children should develop their skills of rounding and estimating as a way of predicting and checking that their answers are sensible. 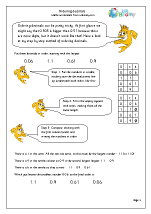 Whilst the Key Stage 2 SAT Papers are in May this leaves quite a short year to fit in all that is needed to be successful.